Institution of Biological and Ecological Research (IBER) is a international nonprofit scientific organization dedicated to the research and understanding of life on Terra. IBER also is dedicated to reporting this research to the international community, so the whole world may advance in biological research and education for the welfare of society. Founded in 4444, the organization is headquartered in the city of LaFarge (Pirland, Likatonia) and conducts several missions each year to various locations around the world. It also does work in part with the LaFarge University, and various other international organizations. Last edited by EDominus on Thu Sep 13, 2018 3:43 am, edited 1 time in total. Carlos Roberto Dominguez, was an Egelian naturalist, biologist, and sociologist that lived in the 1700s. 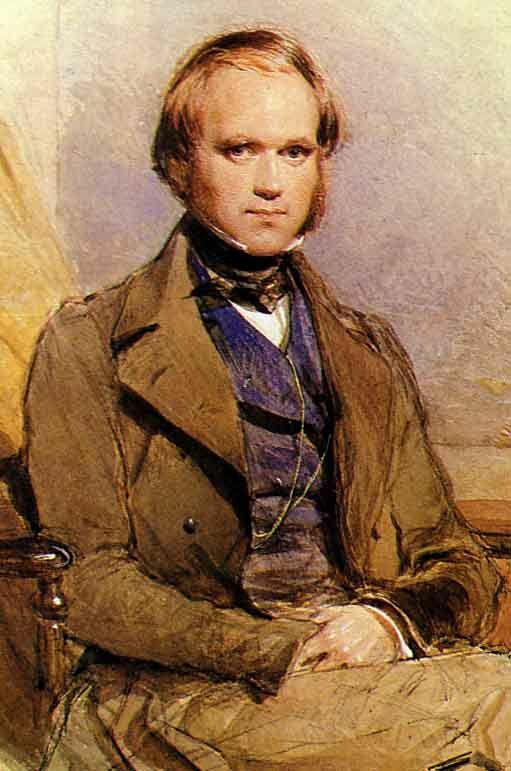 He is credited for founding the field of anthropology and being the first to propose the theory of evolution. Carlos Dominguez was born to a large family in Cabo Rozevia, located in Ghadrash/Yadráz, in 1703. His family were the decedents of wealthy merchants in the region. His father, Roberto Dominguez, was famous statesman, supporting republican & humanist ideas that were revolutionary at the time. His mother, Susana Emilio-Dominguez, was the daughter of Leonardo Emilio, a prominent Egelian colonial governor in Dovani. Dominguez was home schooled until the age of thirteen, where then he and his siblings eventually moved to his grandfather's colony of San Lorenzo (in what is today Sekowo). He worked there as doctor's apprentice till the age of eighteen before moving back to Egelion to work for his father. But Dominguez became disinterested in the law, finding it tedious and longed to return to Dovani. He got his chance two years later when the Egelion-Dul Kinean War broke out in 1723 and Dominguez and his family were forced to flee back to San Lorenzo. While in the colony, Dominguez became fascinated with the various peoples and wildlife on the Dovani continent. His interest only grew after working for a year with several Canrillaise traders, who collected various shells, fossils, and animal skins, the so-called Treasure's of Dovani. In 1726, Dominguez moved to the colony of Lourenne where he joined an expedition crew that planned to explore the Kuleke Sea. This expedition was the voyage of DLM LaVictoire. The venture lasted seven years, as the ship began from Valois and traveled across Temania, Dovani, and Vascania, before concluding in Rois dePointé. During the voyage, Dominguez documented various forms of wildlife and fossils. He was particularly fascinated with the Rapa Pile, and the various animals on the islands. While stopping on the Isle of Rapua, Dominguez took note of the finches on the island. This is where he first wrote down his theory of natural selection. The act of natural selection is the transfusion of a species elsewhere for its environment. This transfusion is the result of the organisms to survive and adapt: ​​changing their physical characteristics. 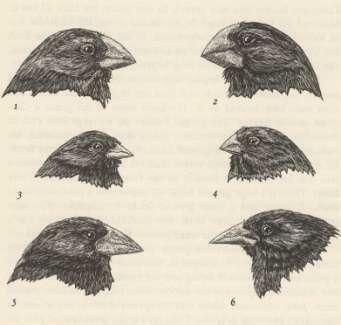 For example, allow us to contemplate the Rapua finches. These birds have similar bodies, with shape and size. Also these birds contain similar collation art. But these birds do have different beaks, each of different size and function. It is my own belief that through natural selection, these finches separated. Each one adapting to its environment and changing because of it. After Dominguez returning to Lourenne, he published his first book: The Voyage of DLM LaVictoire. The book was an edited copy of the journal he had written on the voyage. The book found originally found little success in Lourenne, selling only a thousand copies. Dominguez, disillusioned, returned to Egelion a few months after the books publication. While in Egelion, Dominguez married his cousin, Mercedes Emilio, and became a father. But during the late 1740s, Dominguez's book became extremely popular, especially in Luthori and its academic communities. Dominguez, learning about this, then published a second book where he explained more on his theory, this was Rapa Pile: The Theory of Natural Selection. The book became instantly successful, sparking debates within various academic societies and nations. This divide eventually lead to some nations banning the publication of the book. Fearing being attacked, Dominguez and his family moved to San Lorenzo, where they bought a small manor. Dominguez continued his observations and research, but he was specifically fascinated with humans & how humanity fit into his theory. He eventually went on an expedition to the interior of Dovani where he observed the various Macaco monkey species. He concluded that humans must have evolved from a type of Macaco, since humans resembled them so much. 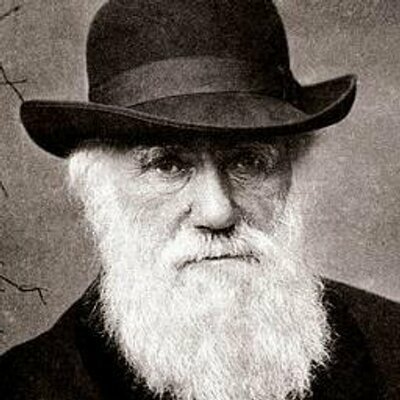 He also concluded that native peoples were closer related to Macacos, that is why they didn't develop technology as fast. Dominguez's observations were published in 1752 in his final book, History of Humanity. The book did not sell as well as Rapa Pile, but was just as significant. It was the first book to introduce the scientific ideas that would become the foundation of anthropology, and infamously introduced the ideas of scientific racism and the idea that some groups were more evolved than others. Some today still argue if History of Humanity is more scientific or political. The Sekowan Macaco, also called the Snow Monkey, is one of the main Macaco species Dominguez documented in his book History of Humanity. The final years of Dominguez's life were peaceful. He spent most of his days learning about the things he saw and travelling around Dovani to speak about his findings. He died April 22nd, 1768 at the age of 65, likely do to smallpox. Dominguez's life was a fascinating one of adventure and discovery. Without his contributions to science, the age of revolutions and philosophy that followed may have not occurred. We even see today how Dominguez's ideas still echo, even hundreds of years later. When people talk about prehistoric creatures only one group comes to mind: Megalosaurs! The study Megalosaurs began in the late 1680s after Luthori scientists discovered the bones of a large reptilian creature they dubbed Dinosaurus ("terrible lizard") buried in countryside. In 1718, Sir Owen Richardson, Luthori's leading paleontologist, first coined the term "megalosaur." Richardson had examined several bones, notably Dinosaurus and Luthosaurus ("Luthori's Lizard") fossils. Richardson found that these creatures were larger then any living reptile, they lived on land, and had their legs under them instead of the side like other lizards. He concluded that these creatures were a part of a new group which he called Megalosauria or megalosaurs. The word comes from ancient Kalopian word megali ("great") and sauros ("lizard" or "reptile"). At first scientists produced images like the one above, very inaccurate to modern standards. To many scientists of the early 1700s, dinosaurs were lumbering beasts that dragged there tails around, and fought eat other. This image stuck around for around 50 years, until famous Dundorfian paleontologist, Anton von Hamburg, began reconstructing various megalosaur fossils. He had discovered that megalosaurs did not drag their tails as depicted, and appeared more humanoid in shape. This became known as Hamburg or Humanoid model, which became the lasting image of megalosaurs till the 1900s. In 1935, a group of Dorvish paleontologists lead by Karl Bleich, discovered something that would again change the image of megalosaurs. While excavating in modern day Vanuku, the group had found the fossil of Paleopteryx ("prehistoric wing"), the first fossil of a megalosaur with wings. Bleich's team quickly brought the fossils to Dundorf, where the scientific community debated the question: Did megalosaurs evolve into birds? This debate lasted for hundreds of years, as the paleontologist community split into two camps: megalo-evolutionists and megalo-seperatists. 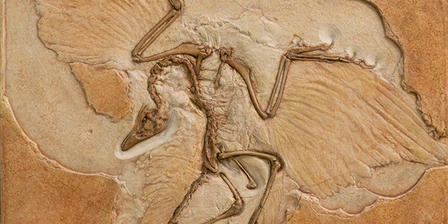 The debate hit a boiling point when a fossilized bird exhibit in the Luthori History Museum was destroyed by megalo-seperatists and Hosian radicals in 2052. To prevent more fossils from being destroyed an intellectual committee was gathered so the debate could finally be settled. 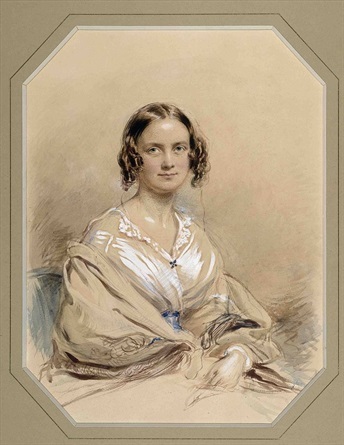 This committee allowed both sides to express there views and bring forth scientific evidence. Ultimately the committee voted in favor of the megalo-evolutionists theory, and officially adopted it as scientific fact. 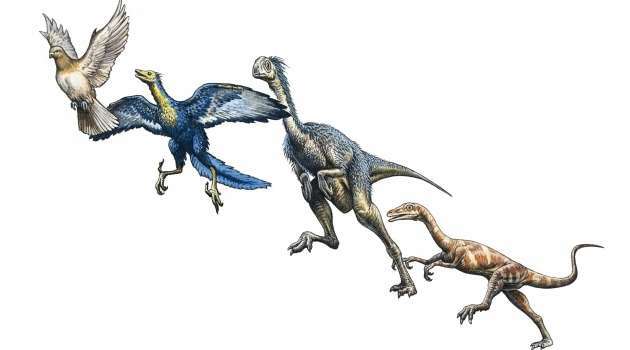 With science finally adopting evolution of birds as truth, we can finally get a picture of what megalosaurs really looked like. Not scaly monsters, not lizard people, but colorful feathered creatures. Today, over ten thousand different species of megalosaurs have been discovered. Ranging in size, shape, and texture. Discoveries have been found, edited, adopted, and reevaluated. Megalosaurs have become a staple of pop culture, and will always remain a manifestation of humanity's never ending curiosity. The scientific community has discovered and documented over 10,000 mammal species on Terra. 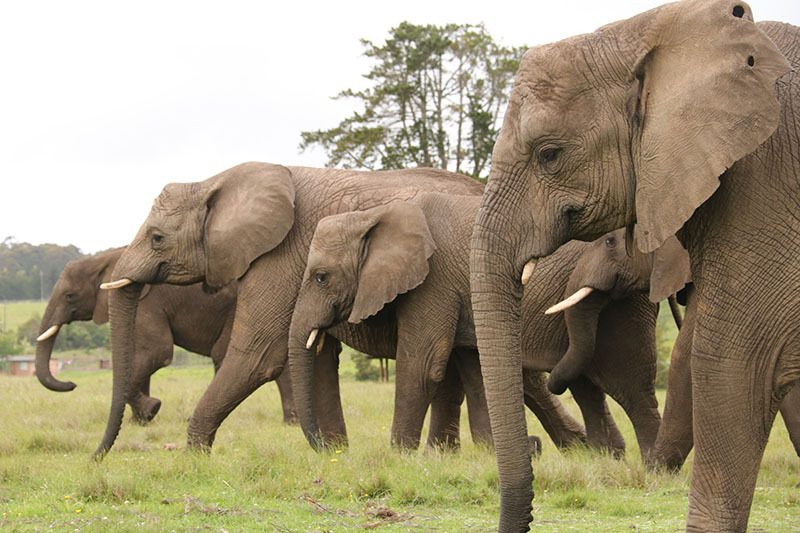 The largest land mammal that currently exists today is the elephant. Their are currently six living species of elephant—Dovani Elephant, Aldegarian Elephant, Majatran Elephant, Vascanian Elephant, Shiratokan Jungle Elephant, and the Kekahi Pygmy Elephant. The Dovani elephant is the most populace of the elephant species, having around five million members in the wild. They are found all over Dovani, North Seleya, and South Artania. The Dovani Elephant stands at 3.5 meters (12 feet) tall. They have smaller ears than the and a generally shorter than the Aldegarian & Majatran species. They have grey skin but tend to have some fur. Although they are the most common elephant species, this wasn't always the case. The Dovani Elephant was nearly hunted to extinction back in the colonial era (2200s-2700s), but after several environmental reforms in late 3200s. Culturally, the Dovani Elephant has been used as the symbol for numerous tribal groups throughout Dovani. Notably the Dovani Elephant has been used as both the national animal for the nations of Ntoto. Also the Dovani Elephant has seen importance in the Gejara religion. The Dovani Elephant also was used as the symbol for "Rashtriya Janata Dal" (a political party in Malivia). The Aldegarian elephant, also known as the Ibutho Elephant, is an elephant species native to the equatorial and southern regions of Seleya. They are closely related to Majatran Elephant, although they tend to smaller in size, standing at around 4 meters (13 feet) tall. Another difference is that Aldegarian Elephants have downward facing tusks and tend to be darker in color than their Majatran counter parts. The Aldegarian Elephant, like its relatives, had been hunted for the ivory in its tusks. These hunts became so frequent that the elephant became extinct throughout the southern regions of Seleya, the few thousand that remained existed in remote areas in Aldegar and Saridan. Luckily, zoological societies in the late 2800s lead restoration efforts, which protected the species. Now around a million members exist in the wild, and many have been reintroduced into southern Seleya. 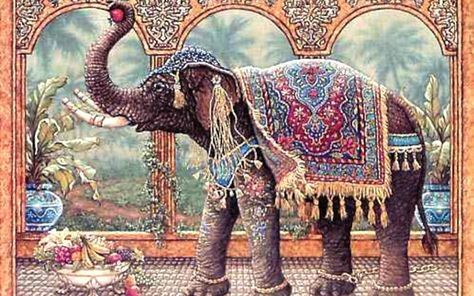 Culturally, the titles of the Ibutho nobility have also been inspired by the Aldegarian elephant. The Majatran elephant, also known as the Cildanian elephant, is the second most populace elephant on Terra. The Majatran elephant is also the largest of all elephant species, averaging between 4-5 meters (13-15 feet) tall. Majatran elephants are also said to be the most intelligent of the elephant species, showing signs of advanced memory, communication skills, and the ability to bury their dead. Unlike most other elephants, the Majatran elephant was not hunted as frequently, rather it was domesticated by numerous nations that existed within Majatra. The most famous use of elephants was during the Selucian-Cildanian Wars when Mago Maharbaal used Majatran elephants against the Selucian League, wiping out the Selucian armies. Despite the high amount of wilderness converted for agricultural use in Indrala's long history, life has found ways to adapt, even thrive in these conditions. Some species have made the fields and villages their homes, even working hand in hand with humans, while others have learned to make do on the outskirts; however, quite a few species have been pushed out of these areas and currently face threats to their survival. 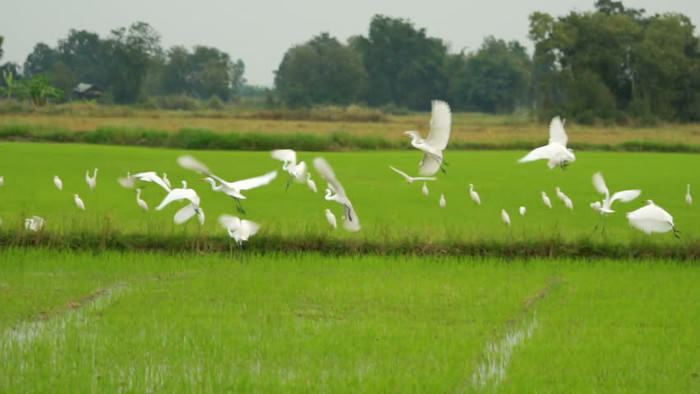 One of the most common sights in rice paddies across the island isn't farmers, but birds. Waterfowl and wading birds flock to the water drenched fields that the rice plant needs to grow. Here, they can often feast on frogs, or even fish, that are similarly attracted by what essentially simulates a marsh ecosystem. The Indralan egret once used to number among the hundreds to thousands around certain villages but has become increasingly scarce in the modern era. Part of this is due to a trend in folklore, which in the past two centuries has shifted from seeing egrets as a source of good luck to a bad omen signaling disease and death. This new found belief has led to the destruction of many Indralan egret nests causing a dramatic decline in their population. An auspicious species of bird, which has managed to keep its favourability, actually makes its home within Indralan villages, sometimes even inside houses. That bird is the house swallow. It is seen by many Indralan villagers as a sign of good fortune, a plentiful harvest, and coming romance. This fact has created many villages that actually time their crop growth based on the bird's migration schedule, keeping windows and doors open to allow the swallows to nest inside. One village in Jiaozhi believes so much in the luck of the swallows that they renamed their village Yanwo: "swallow's nest". The structures found throughout the village have actually been quite beneficial to swallow nesting, while nearby agricultural fields have also benefited the birds, providing nest material and food sources in the form of insects. There are a number of other lucky birds in Indralan culture, and one of the most famous is the Guofei duck. Among Indralans popular belief holds that the Guofei duck is monogamous and will never find another mate after their first, making them symbols of true love throughout Indrala. 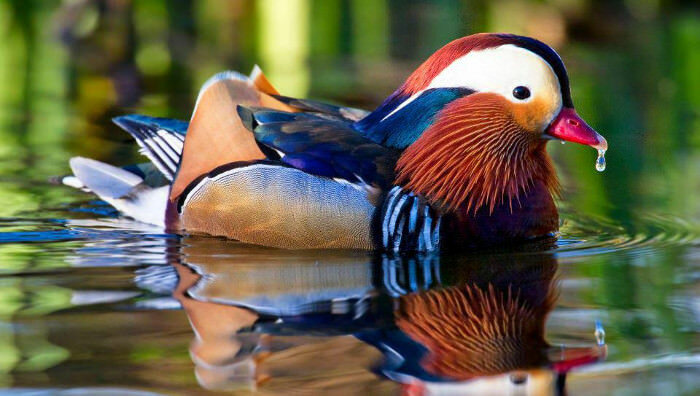 However, contrary to this belief, Guofei ducks are only monogamous during a single breeding season, and will happily find other mates for the next. They are also famous for their brilliant plumage, which shines on male members and holds a number of colors across its body, such as a purple breast and green crest. Besides Indrala, the Guofei duck can be seen on the continent of Dovani as far North as Sekowo. More recently, their range has expanded to Dankuk after nobles brought them back from Indrala as ornamental pets. 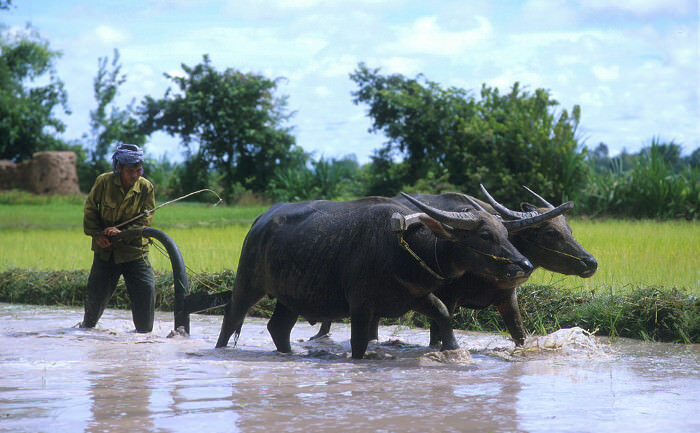 The Indralan water buffalo is a subspecies of the larger Dovani water buffalo that was introduced by Gao-showan migrants who had used it as a beast of burden. 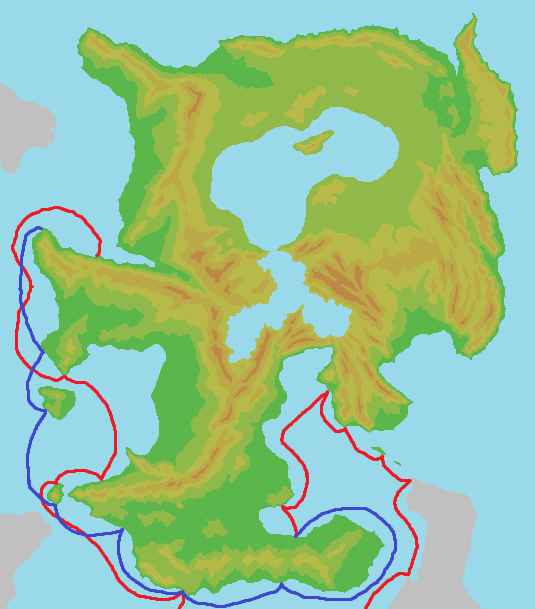 Over time, the Indralan subspecies has gradually diminished in size, in order to better survive in an island habitat. Indralan farmers have continued to use the water buffalo to this day, especially in rural, mountainous areas, where they can be helpful for plowing, hauling, and even milk production, as many areas consider buffalo milk to be a delicacy. There; however, also wild members of the species who were either released or escaped on their own merit. They have generally adapted to have a bulkier build, with a larger set of horns in order to scare away predators that domestic buffalo don't have to deal with. Rivers irrigate a large portion of Indrala's farmland, thus providing important sources of life to people; however, they also play important roles in providing habitats for species along their banks and under the surface. One of the most ecologically and economically important rivers in Indrala is the Ma-Gan River which flows from Southern Anle into a nutrient-rich delta along the coast. This river provides refuge for tens, possibly hundreds, of endangered species, yet their value is often put aside for farmers and fishermen to increase profit. The great cormorant is a species that can be found domesticated an wild across Indrala, much like the water buffalo; however, the ancient craft of cormorant fishing is centered along the Ma-Gan. In this process, a string is tied around a cormorant's neck, preventing it from eating any fish it might catch and the cormorant is released into the water to find fish. Since most of these birds have been trained since birth, they return to their owner with a caught fish and in return receive a treat of their own. Such fishing is done at night when lanterns atop the fishermen's bamboo boats can attract greater numbers of fish. 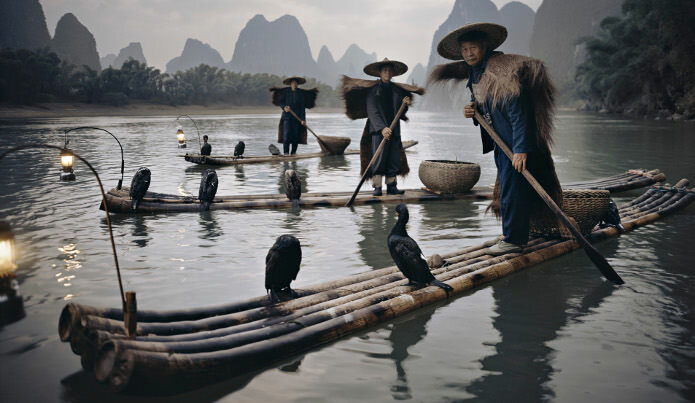 Despite its former prevalence, this style of fishing has been dying out, replaced by commercial fishing which can catch hundreds of fish at the rate that one cormorant fisher can get one. 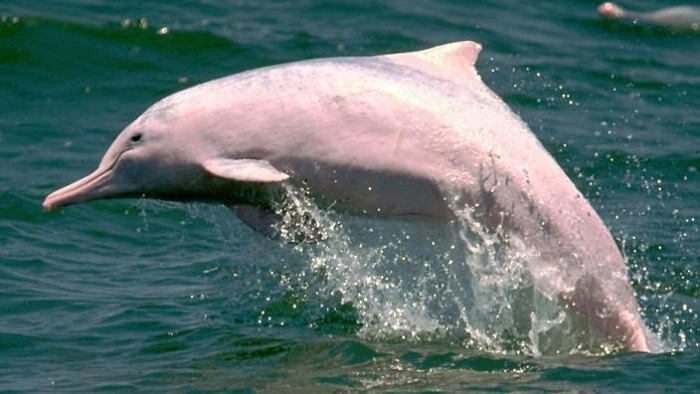 Some of Indrala's rarest creatures are found in the Ma-Gan river, including the elusive Ma-Gan river dolphin. This species is endemic to the river and has faced many problems over the past few centuries. In fact, until about a century ago the Ma-Gan river dolphin was believed to be virtually extinct in the wild. It wasn't until a pod of about 5 dolphins was discovered that stringent protections were put into place in the areas of the river they inhabited. Since that time 3 other pods have been found, and the wild population is estimated to be only around 50, leaving it extremely endangered species. Thankfully, due to stringent pollution laws and system of reserves across the Ma-Gan this dolphin species will be able to slowly recover. 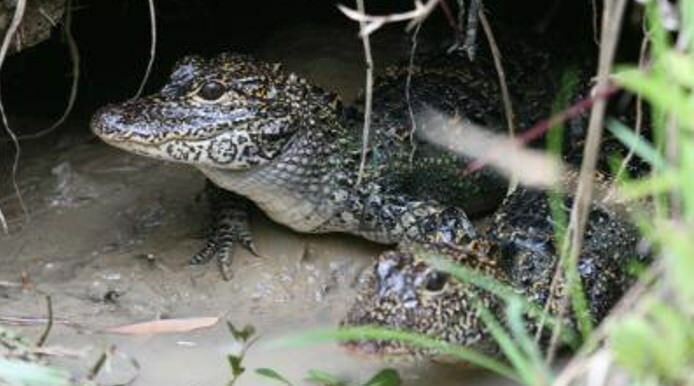 Reptile species are also often sensitive to environmental changes, and along the Ma-Gan no reptile has felt this more than the Indralan alligator. The Indralan alligator is another species endemic to the Ma-Gan river and is one of the smallest known crocodilians in Terra at about 1.5 meters (4.9 feet) in length. Once revered as a living symbol of the dragon, the population of Indralan alligators has greatly decreased, mostly due to land conversion for agriculture along the Ma-Gan; however, more recent captive breeding programs have reversed the trend and the living dragon is on its way to recovery. The Ma-Gan softshell turtle is also facing extinction. This turtle species has long been consumed by locals who view its flesh as a delicacy, due to this often unlawful hunting, the Ma-Gan softshell turtle is critically endangered with less than 10 known wild turtles, which when combined with 5 in captivity reaches a grand total of 15. Despite these troubles, the species is actually the world's largest freshwater turtle with an average length of 100centmeters (39 inches) and can even lay up to 80 eggs per batch. It is unknown if the species can be revived due to its current numbers. Great amounts of change have come across Indrala's fertile river valleys and agricultural areas, and animal populations have change with it. And despite previous dips in many the number of many species, stringent laws are leading to the rebound of a large amount, revitalizing these areas of Indrala as a center point for Indralan biodiversity. 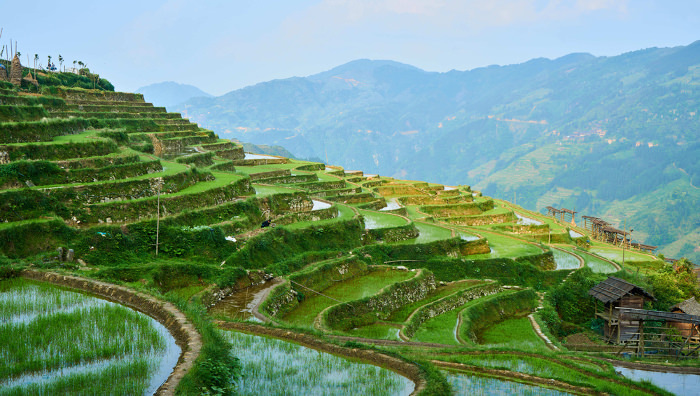 Next time we will be exploring the vast Anle range, home to a number of magnificent creatures, such as the panda, which has become on of the faces of international conservation. In addition to the Institution, IBER Indrala is brought to you with help from the Anle Range Academy of Natural Sciences, the Cheng Foundation, and the Kaizhou Inquirer Media Group.